Dr. Dina El Khawaga is a researcher in political science. She has been a Professor at the Faculty of Economics and Political Science at Cairo University since 1994. Dr. El Khawaga received her PhD in Social Politics from Science Po in Paris in 1993. In 2003, she participated in the write-up of the United Nations Development Program's Arab Human Development Report. Previously she served as the Director of the Social Movements Program at the Arab Reform Initiative (2012-2016), Director of the Open Society Foundations Arab regional office (2011-2012), and as Director of the Higher Education Program at the Ford Foundation's regional office for the Middle East and North Africa (2003-2011). Dr. Hassan Abbas holds a PhD in literature and literary criticism from the New Sorbonne University in Paris. Prior to joining the Asfari Institute, Dr. Abbas was the founder and president of the Syrian League for Citizenship where he established and managed associations focusing on culture, human rights, and political representation. 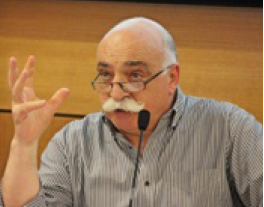 He has also worked as a professor and researcher at the Institut Français du Proche-Orient in Damascus and has published studies and books in the fields of culture, citizenship and civil society. Ms. Hala Yanni manages the administrative department of the Institute, including budgeting, financial reporting, strategic planning, systemizing office logistics, and University liaison. She is directly responsible for all the financial matters of the office, including the recording and tracking of grants and their proposals. Prior to joining the Asfari Institute, Ms. Yanni served as a Financial Analyst at the Office of Financial Planning at AUB (2013-2014); Executive Officer at the Vice President for Facilities at AUB (2012-2013); Internal Auditor at BLOM Bank (2008-2012); Administrative Officer at the Auxiliary Services at AUB (2004-2008); and External Auditor at KPMG (2002-2004). Ms. Yanni received her MBA with an emphasis in internal audit from the Lebanese American University (LAU) in June 2010. Ms. Farah Al Shami holds an MA in Policy Economics and Economic Development from Williams College, where she pursued her studies as a Fulbright Scholar. She also holds an MA in Economics from AUB and a BSc in Economics from LAU. 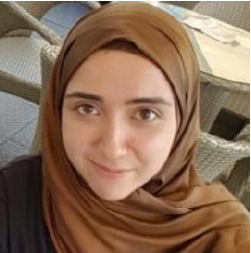 Ms. Al Shami previously worked as a Research Assistant at the United Nations-Economic and Social Commission for Western Asia (ESCWA) and as a Programs Officer at the Arab NGO Network for Development. "Role of Civil Society in Conflict and post-Conflict Settings"
Mr. Bachar El-Halabi received his education at AUB where he double majored in Electrical Engineering and Political Science, then interned as a Human Rights Officer at the UN Office of the High Commissioner for Human Right (OHCHR) for over a year. In 2015, he received his MA in International Law with an emphasis on criminal law and human rights law, at the National University of Ireland. Following that, Mr. El-Halabi headed to The Hague, Netherlands where he worked as an Assistant Legal Officer in the Trial Chamber at the Special Tribunal for Lebanon (STL). In 2016, he moved to France and started working as a journalist, researcher, and analyst for France 24 covering the Middle East region. Ms. Manar Fleifel is the Program Coordinator for the research project “The Lay of the Land” which focuses on the diversity of experiences of displaced Syrians in Lebanon and the informal access to goods and services. Ms. Fleifel studied Political Science at LAU and completed her MA in Middle Eastern Studies at Lund University in Sweden. She has worked on the Palestinian Oral History Archive at AUB and also has experience as a Programme Manager of different projects on Education, Gender-Based Violence, Early Marriage and De-radicalisation in an NGO in Lebanon. She is currently finalizing her second MA degree in Migration Studies at LAU. Ms. Mona Khneisser graduated with an MA in Sociology, with a concentration on social movements and collective action from AUB. Her research interests are centered around social movements, political economy, civil society, and collective organization. Ms. Khneisser also teaches an introductory course in sociology at AUB and has worked as a consultant for the Arab Forum for Alternatives and as Project Coordinator with the Civil Society & Policymaking program at the Issam Fares Institute for Public Policy & International Affairs at AUB. Ms. Kneisser is co-developing readers and literature reviews for public access about the different AI projects. Ms. Fatima Nasser graduated from AUB with a BA in Public Administration in 2018. 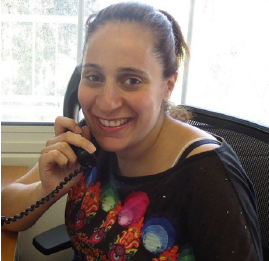 Before joining the Asfari Institute, she was an intern at the Issam Fares Institute (2017-2018) and World Vision (2017-2018). Ms. Nasser received two training workshop certifications on Innovation and Entrepreneurship with Nawaya-UNICEF and the Switchmed Program. She has also worked as a part-time work-study student in several departments at AUB and AUBMC (2015-2018). Ms. Jinan Mantash is a Media and Communications Research Assistant at the Asfari Institute. She holds a BA in English Literature, a diploma in Media Studies, and minors in Creative Writing and Political Science from AUB. Before joining the Institute, Ms. Mantash worked as an editor, researcher, and translation trainer at a media intelligence company. Mr. Maroun Akel is working on the Institute’s data management. He graduated from AUB in 2017 with a degree in Economics and in 2018 with a degree in Political Studies. Before joining the Institute, Maroun had experience in different fields such as audit, supply chain and logistics, and data management. 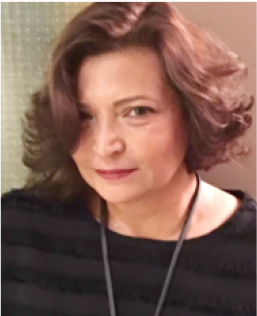 Ms. Rana Makki works on two programs at the Institute: Culture as Resistance, and Activism in the Arab World. She holds a BA in Business Administration with a concentration in Decision Making Systems, and she is currently in the process of completing an MA in Public Policy and International Affairs at AUB. Mr. Mohamad El Chamaa is pursuing an MA in Urban Planning and Policy at AUB, and holds a BA in History with minors in Public Policy, Political Studies, and American Studies. Previously he was a tutor at AUB’s Writing Center, and Editor-at-Large for the AUB student newspaper, Outlook. Mr. El Chamaa also worked with LADE as an election observer during the 2018 parliamentary elections. The core of ​Ms. Geneviève Cartilier work has been focused on the creation of academic materials and readers for the Arab Social Activism and the Transnational Social Movement projects. Previously, she worked as a consultant at the Asfari Institute. She holds an MA in Anthropology and Development from the London School of Economics, and is currently pursuing a second MA in Middle Eastern Studies at AUB. Ms. Sherry Alhayek is a Research Assistant at the Culture as Resistance program. Alhayek was born in Syria and grew up in the United States. She graduated from the University of Illinois in Chicago with a BA in Science and Architecture, and a Minor in Communications. She is a certified trainer with the DW akademi and winner of the "Goldenen Nica des Prix Ars Electronica- 2012" for the digital communications category and the BoBs award for online blogging 2012.